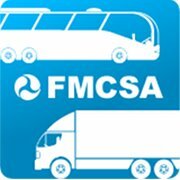 A final rule published from the Federal Motor Carrier Safety Administration (FMCSA) permits medical examiners to allow commercial operators with insulated-treated diabetes to get behind the wheel without a months-long waiting period, Transport Topics reports. The permission given by the rule, which went into effect in November, is contingent on a medical assessment and consultation between the operator’s physician and the carrier’s medical examiner. “The rule eliminates a typical two- or three-month delay for diabetic drivers to navigate a bureaucratic process requesting an exemption from the Federal Motor Carrier Safety Administration after being automatically disqualified for having the condition,” Transport Topics’ Eric Miller wrote. The rule was initially published in the Federal Register in September. Miller’s article about the rule is available on the Transport Topics website.